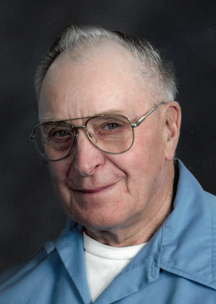 LeRoy Edmund Jacobson was born on April 19, 1929 in Deer Creek Township, Otter Tail County. His mother was the late Lillian Grant. He attended County School District 136. LeRoy farmed with his uncles in the summer and cut pulp wood in the winters. On May 28, 1955 LeRoy was united in marriage to Janice Menze at St. John’s Lutheran Church in Ottertail, Minnesota. Their marriage was blessed with two children, Susan and Greg. They made their home on the family farm in Deer Creek Township. LeRoy lived most of his life on the farm and took great pride in working the land and raising animals. He was a trustee and member of the Trinity Lutheran Church and Finn Creek. LeRoy enjoyed gardening, working with wood, watching deer and nature. Janice passed away on April 3, 2007. On April 9, 2019 LeRoy passed away at Fair Oaks Lodge in Wadena, Minnesota at 89 years of age. He will be dearly missed by his family and friends. Preceding LeRoy in death was his mother; and his wife, Janice. LeRoy is survived by his children: daughter, Susan (Mark) Pierson of Wadena; son, Greg (Lidia) Jacobson of New York Mills; grandchildren: Elizabeth Pierson, Melissa Pierson, Bradley Pierson, Jordan Jacobson and Hanna (Travis) Nelson; great-grandchildren: Silas and Bennett Nelson; step-grandchildren: Cody (Kristin) Clarksean and Izabelle Clarksean; step-great-grandchildren: Jackson and Nora Clarksean; other relatives and a host of friends.